First Pictures is the production company associated with Stephen Lee's films. This independent production company has been in operation since 2000. Stephen Lee received his MA and PhD in Communication (Radio-Television-Film) from the University of Texas. In addition to his independent film work, Steve is an Associate Professor in Santa Clara University's Department of Communication. 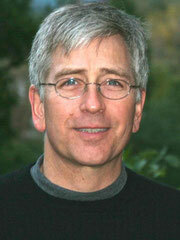 He teaches courses in digital filmmaking, film and television history/theory/criticism, and popular culture studies. He also has served as an Associate Dean for the College of Arts and Sciences since 2007. Contact Steve at stephenlee@firstpictures.org. 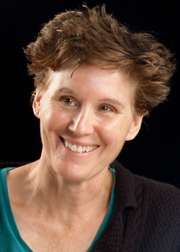 Susan Czark has served as the Associate Producer for First Pictures productions since 2001. Her responsibilities include production logistics, research and communications. Susan can be reached at susanczark@firstpictures.org. The First Pictures logo indeed is the "first picture" Steve drew in a scrapbook his parents gave him as a child. The First Pictures song featured at the end of all First Pictures films (the first few bars of Twinkle Twinkle) features an early singing effort of Steve's twins. To request general information about First Pictures please contact us here or email us at info@firstpictures.org.